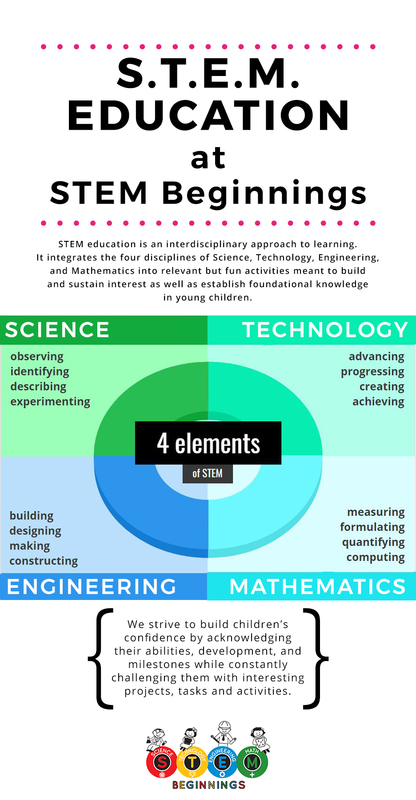 STEM education is an interdisciplinary approach to learning. It integrates the four disciplines of Science, Technology, Engineering, and Mathematics into relevant but fun activities meant to build and sustain interest as well as establish foundational knowledge in young children. We strive to build children’s confidence by acknowledging their abilities, development, and milestones while constantly challenging them with interesting projects, tasks, and activities.